With Valentine's Day right around the corner, romance is in the air... and a lot of couples are trying to figure out what to get their partners to really show how much they care. You could go the traditional flowers, chocolate, and teddy bear route, but that routine can grow stale after a while. The best gift to get your significant other this Valentine's Day is ballroom dance lessons. Dance, in general, is romantic. The two of you will waltz around the dancefloor in each other's embrace and for a few moments the world consists of just the two of you. Even more than the dancing itself, the gift of ballroom dancing is the gift of your time. In the grand scheme of things, all anybody wants is to be important enough to take up a little of your time. Prove that and you've won their heart forever. Couples who dance together have a stronger bond than those who don't. To dance well, one partner must give in and allow the other to lead. Each partner must know what the other is going to do, and maintain eye contact is vital. All these things promote a stronger partner bond. Chocolates are delicious, yes. But they aren't healthy. Learning to dance is, however - and not just physically. Dancing is known to promote happiness by releasing endorphins, much in the same way any other physical activity. Music is also a great mood enhancer. There are the benefits of burning calories and strengthening muscles while you're at it. 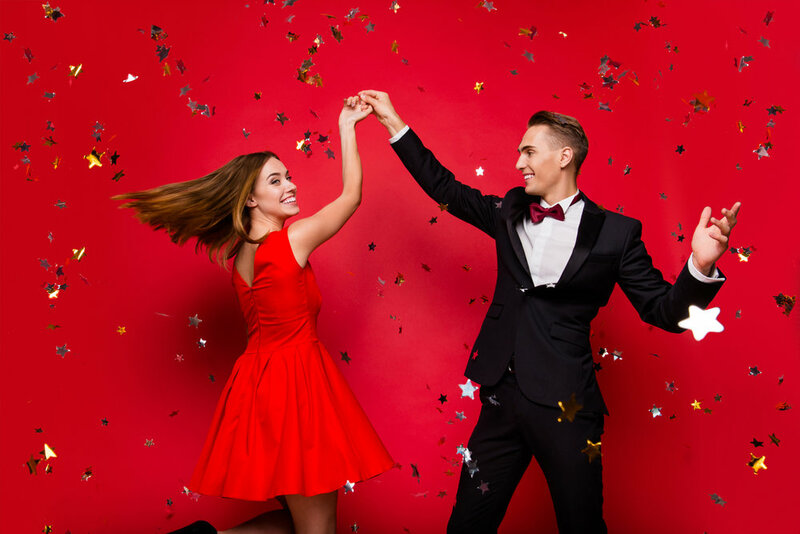 These are just three of the many reasons ballroom dance lessons are the perfect gift to give your significant other this Valentine's Day. Ready to take the plunge? To book ballroom dance lessons for yourself and your partner contact us today.